We have been serving the childcare industry for 20 years. We understand your needs, challenges and pain points. We are the only vendor that has converted its Legacy Enterprise Software to a modern web app. 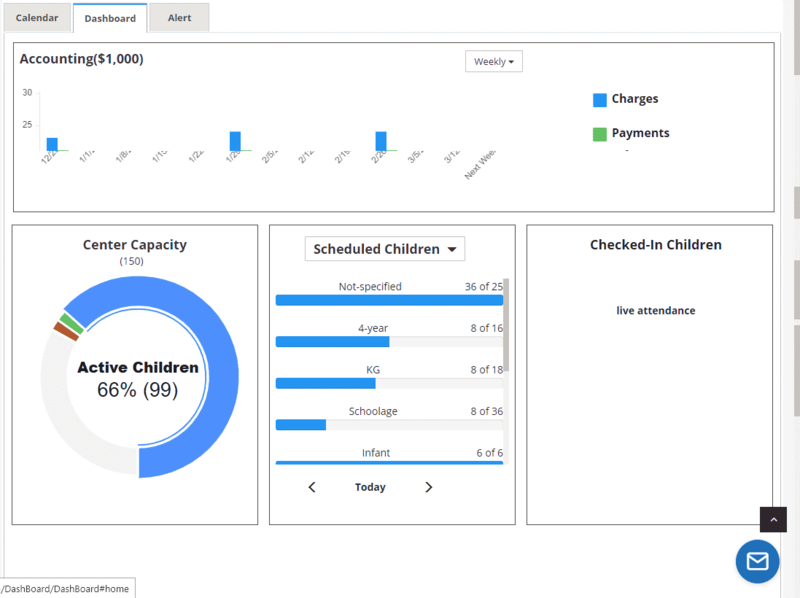 For administrators, iCare is a rich management software, and for parents and teachers, it is an app that empowers them to provide better care and development of children. Automate your Child Care Center Today! iCare is built with the most modern web development tools. We have used these technologies to solve your complex management problems with simple solution so you can get your work done easily and quickly. A Robust Enterprise App: In all parts of the software used in the office or the classroom, iCare is both broad and deep. Top Cloud Hosting Platform: Hosted on world’s top cloud hosting platform AWS for high performance and high data security. A Responsive Web App: SAAS/cloud/web app that works anytime, anywhere and on any device without installation. Multi-Site Management: Highly developed multi-site management with site and corporate designations and flexibility to let teachers and children have activities in multiple sites. Role Management: A more flexible role management feature letting users set what information administrators, teachers and parents can see and do. No Installation or IT Support Needed: Free automatic updates, automatic backups and no maintenance required. Audit Trail: For all important transactions, the iCare database keeps audit trails. Who did what and when is recorded. 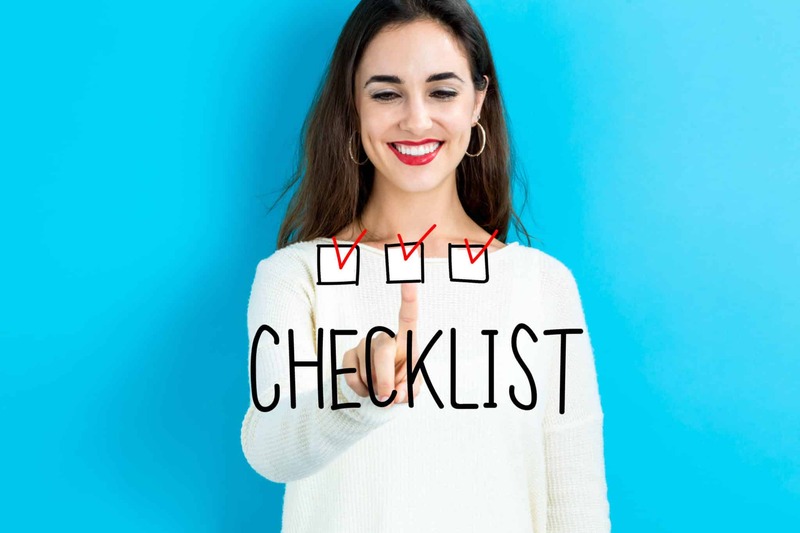 If an attendance record is altered or a ledger transaction is edited or voided, the original record is saved along with information on who made that change. Deleted Records: Even when deleted, important records such as children, contacts and staff names are saved. They do not show in the active lists but can be accessed and edited through the global search feature. Your business is unique in many ways – the type of center or school you are and the business rules and requirements you have. iCare is the most flexible, broad and deep app on the market. You can set it up to fit your business in minutes. For each business type, we have listed some of the pain points iCare solves. If these are your pain points, iCare can be the solution. You have worked hard to develop your business model – understanding and analyzing the needs of families in your market, developing a facility that fulfills those needs, and hiring and training the staff for executing that model. With iCare's flexibility, you will not have to change your model to match the software because iCare is customizable to match your business rules. Childcare or Daycare Center: Billing accurately according to a rate chart, collecting money on time, managing flexible programs, enrollment management, keeping records required for licensing, recording attendance, updating immunization and health records, scheduling staff efficiently, staff time card, maintaining teacher-child ratios, recording children’s activities and development milestones, implementing state early learning and development guidelines/standards, communicating with parents, parent-teacher engagement, and classroom management. Preschools: Posting weekly or monthly bills accurately and timely, processing payments, managing programs and classes, enrollment management, curriculum planning, tracking children’s development milestones, updating required documents, communicating with parents, parent-teacher engagement. Montessori: Managing fee charts and payment plans, processing payments, updating required documents, enrollment management, communication with parents, curriculum planning, and implementing Maria Montessori’s children’s development guidelines. After-school Care: Billing accurately and timely based on the tuition fee chart, collecting money on time, quick batch check-in and out by teachers or drivers, calculating the daily charge, communicating with parents, and parent-teacher engagement. Drop-in Care: Point of sale transactions, calculation of charges based on a rate chart, prepaid hours packages, prepaid credit packages, regular scheduled care, reservations, meals and other miscellaneous charges, staff scheduling, and staff timesheets. Enrichment Program: Managing class schedules and enrollments, billing, payment processing, attendance tracking, staff scheduling, staff timesheets, tracking children’s development, curriculum planning, and parent-teacher engagement. Camp: Managing camp schedules and enrollments, billing, payment processing, tracking children’s activities and development, curriculum planning, attendance tracking, staff scheduling, staff timesheets, and parent-teacher engagement. Mixed Business: Perhaps you offer more than one type of childcare service. For example, you are a center that offers flexible scheduling plus a preschool program, some after-school care and drop-in service. In a single iCare account you can manage all your different programs. iCare is a responsive web app that does not require a download or installation. All stakeholders – owners, administrators, teachers and parents – can simply open any browser and log into iCare. Why a Responsive Web App? Web apps are built with the top modern technologies. These technologies make it possible to build rich, enterprise-class functionality. The iCare app requires no download or installation. You never have to upgrade or deal with any version changes. Our team deploys upgrades directly on the servers. You have no maintenance or backups. iCare App: The enterprise app with complete office and classroom functionality. All stakeholder can access it from anywhere, any time. iCare Lobby: The app for checking-in and out (time clock) feature. This app is typically run on a tablet in the lobby of the center. However, it can be used in the classroom, curbside or on the bus. An admin must open the app. It cannot be used by parents and staff from their homes. iCare Door: An App for opening the door when parents and staff check-in and out. It requires the iCare Door Switch, which is sold separately. All children and staff are registered in one home site. However, they can attend (check-in and out) at any site, on any day or enroll in programs/classes offered at other sites. Staff can check-out of one site and check in at another on the same day to fill for absent teachers. Staff can be registered in the corporate site and get a corporate designation or to an operational site to only see the data for that site. Corporate staff can see data of all sites. They can either filter reports by site or switch their login site. Charges for programs/classes are posted under the site where they run. This allows you to get accurate revenues by site and program. All reports – attendance, ratios, schedules, revenue, payments, etc. – can be filtered by sites for site performance metrics. All setup features – program, classes, sessions, rooms, rates, etc. – can be site specific. You can offer certain programs at each site, yet children registered at any site can attend. You can add any number of operational sites in your iCare database. There is also one pre-built corporate site included in your database. Most business models are priced based on number of active children. There is no additional cost for adding sites. However, Drop-in Centers and Enrichment Programs are priced by site and not by the number of children – refer to the pricing page. In permissions setup, you can grant role access for various features. See our preset permissions for more. Run a More Efficient Childcare Center! To achieve this consistency, a lot depends on your planning, strategy and execution. However, a well-built and fully integrated software product helps you achieve it without getting bogged down. A billing function runs attendance data against schedules and rate chart to accurately post the bills in parents’ ledgers and email them their invoice. Another billing function checks clock data and accurately bills late pickup fees daily. If a program or registration requires prepayment, parents are guided to the shopping cart and asked to pay before the enrollment or registration is confirmed. Renewal periods of records – immunizations, yearly permissions, and physicals – are monitored and parents are notified for updates in a timely manner. All generated data/transactions by any stakeholders – admins, teachers and parents – are instantly completed and are available in all modules. The family’s main contact can add children and contacts using the Privacy Shield icon and share data with the secondary contacts. Each contact login credentials. A main contact in one family can also be a secondary contact in another family. When a contact logs in, they are asked to choose between their primary or secondary roles. If logging in as a secondary contact, the role is decided according to the Privacy Settings. A secondary contact could be part of a split account for a child, in which case, the secondary contact will see their part of the ledger and can make a payment toward for the account. Getting started with iCare is simple, easy and quick. The interface works much like familiar applications on computers and mobile devices. If you have trouble with the app, you can schedule training calls with an iCare solutions engineer. Let us know how you manage your business, and we’ll help you set up iCare quickly and teach you how to use it. 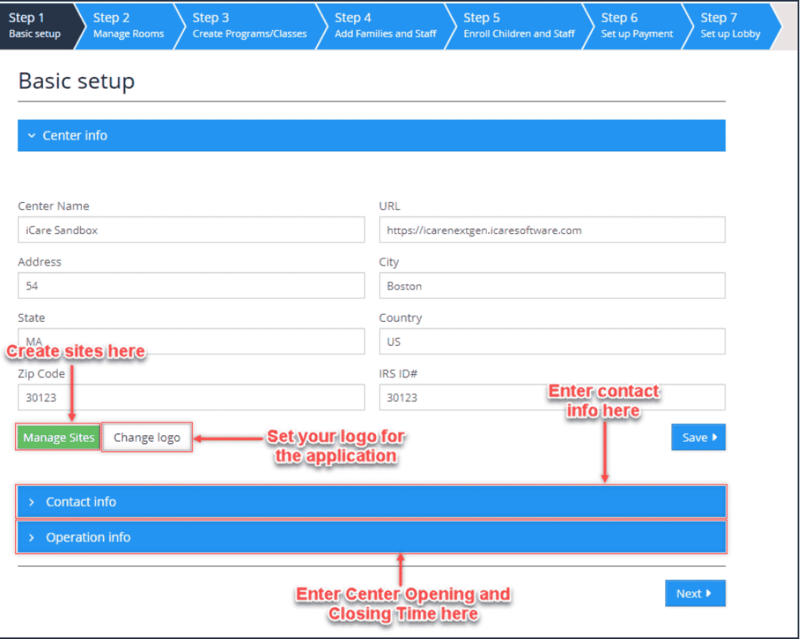 Play in iCare Sandbox: You can fill out the request form or contact your iCare Sales Consultant for access. The iCare Sandbox is a fully functional iCare App with a link and instructions to the iCare Lobby App. It gives you a chance to see and try every feature of iCare. Get a Trial Account: If you are seriously considering iCare and want to see how it will work with the your business preferences, contact your iCare Sales Consultant to get a trial account. Sign up and Go Live: If you have questions, contact your iCare Sales Consultant. Or, if you are ready, it is easy to sign up for iCare. You will be up and running in a couple of hours to a couple of weeks depending on your needs and size of your management team. Be a Master of iCare Very Quickly: The iCare interface is very intuitive. If you do online banking, use Gmail, Amazon and Facebook, you can figure out iCare in minutes. You can also schedule a training and attend iCare webinars.